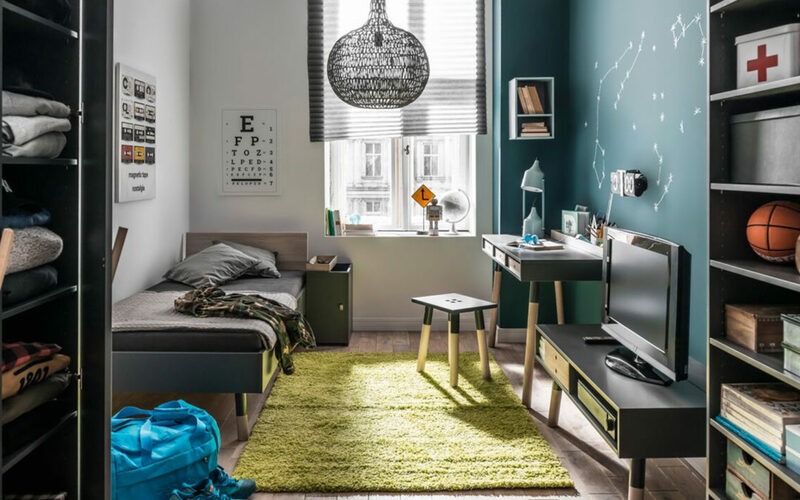 Whether you are searching for university dorm furniture for your first digs or helping your child get their very first student dorm room kitted out, trying to decide what to include in a dorm room is not always the easiest task. Most official res rooms are small, cramped and shared with a dorm mate. Much like choosing the right furniture can help you plan a small apartment or studio, knowing which university dorm furniture to choose can go a long way in helping you furnish this room in a way that gives you the biggest amount of space. Which pieces are a must-have? Which items can you live without? Take the guesswork (and stress) out of choosing university dorm furniture with the help of these handy tips. You will likely not be able to squeeze in a double bed, bookshelf, closet, desk and dining table or kitchenette unless you get lucky and find a large room. Instead of trying to fit in as much furniture as you think is needed, get smart and look for convertible, multi-functional furniture that can easily adapt to your needs. Look for storage beds, compact tables that fold out to seat more people, bookcases that double as room dividers and other items that make the best use of available space. Use wall storage to maximise space. Another way to make the most of limited space is to use walls instead of floors. Wall-mounted desks and shelves will take up less room than traditional desks and shelves, making the room appear bigger. 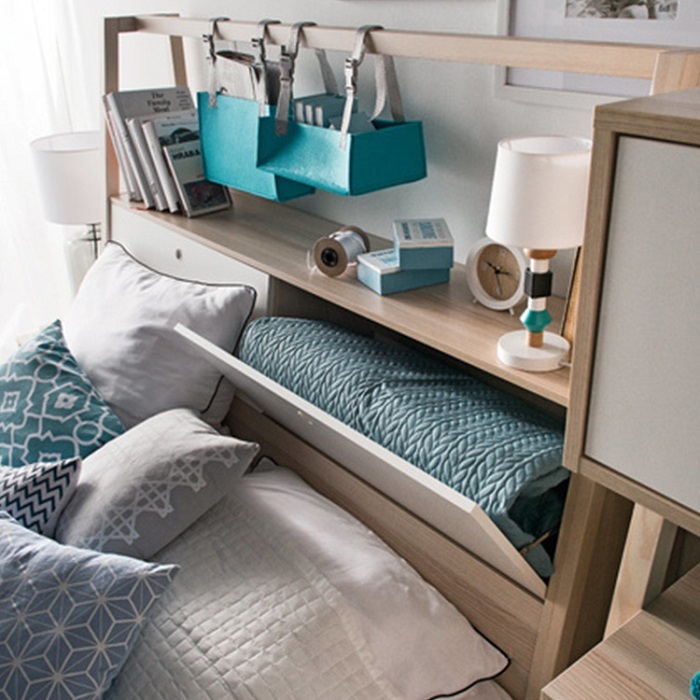 This will also reduce clutter (a major challenge in any dorm room) and give you more room for seating. When you choose folding shelves, you’ll also be able to pack up your work area when it’s time to down tools and relax. Look for hidden storage options. Finally, another simple way to find more space even in the tiniest of res units is to find furniture that offers hidden storage. This will keep your stuff safely out of the way, freeing up space for the important things like beds, seating and TV units. Underbed storage is another effective way to reduce space – make sure that you look for beds that are high enough to fit drawers below. The good news is that choosing well-made, high-quality furniture for your dorm is the best way to ensure that your furniture sees you through your study years. Once you find your first apartment, you will have the basics sorted already. Rather than buying the first cheap furniture you see, it is therefore well worthwhile putting a bit of thought into your university dorm furniture to make sure that you choose functional pieces that will last.